I've tried multiple different ways to achieve this, but all of them until now have resulted in some kind of endless loop where my document doesn't finish building. I suspect the reason is that I am not using the right way to return a dimension from an if expression. How can I return a dimension from a macro that changes with the current chapter? Mind that it also needs to work for non-integer numbers in the appendix. Alternatively, how can I achieve the look in the picture in some different way? 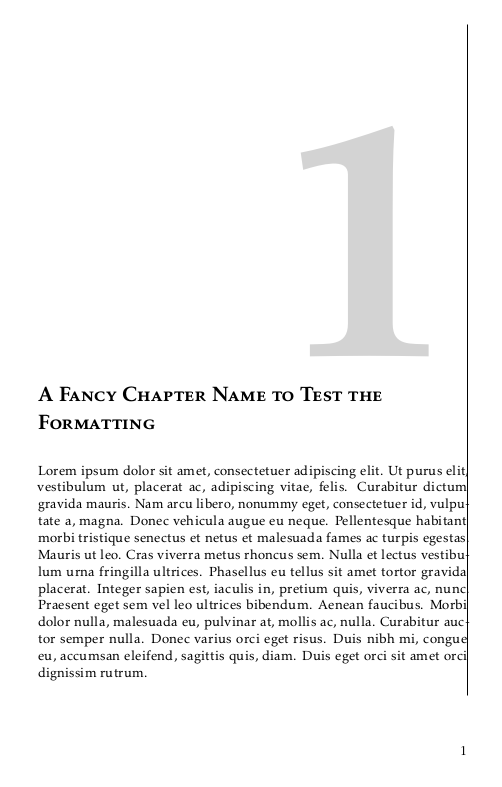 % Macro that determines the per-chapter offsets. % If I use this definition, the document will not finish building. You could just store the shifts in an array, which you could use. Since you are loading tikzpagenodes, I would also suggest making use of that package. If you want to take care of the appendix add a “variable command”. Perhaps scrbook has a built-in conditional for testing whether it is in the appendix part. If so, it shouldn't be difficult to use it instead of the home-made \ifappendix. Not the answer you're looking for? Browse other questions tagged tikz-pgf spacing koma-script or ask your own question. TikZ: What EXACTLY does the the |- notation for arrows do? Positioning with `current axis` depending on limits?